If you're resolving to lose weight in the new year, this may add to your motivation: A new study finds obesity increases the chance that joint replacement surgery will leave you more disabled, not less. To be sure, the University of Pennsylvania study found most people who went through the pain and extended recovery of getting new hip or knee joints wound up better able to carry out everyday activities, no matter what they weighed. But 1 in 4 obese patients reported having more difficulty with bathing, walking, getting in and out of bed, or using the toilet two years after joint surgery, according to the analysis, published in the January issue of the British Journal of Anaesthesia. In comparison, about 1 in 5 patients who were normal weight or overweight reported becoming more disabled after surgery. Obesity increased the risk of worsened disability by 35 percent, the researchers concluded. 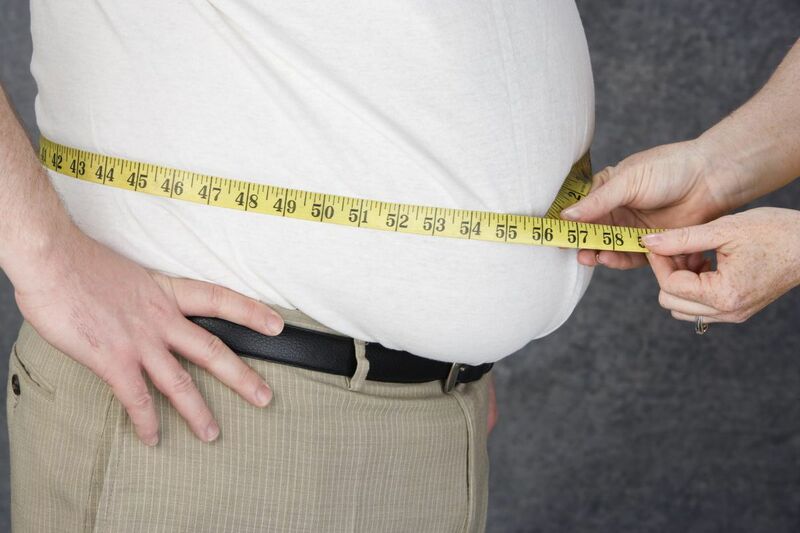 "I don't think it's surprising that obese patients have a higher incidence of new disability. What we aimed to do is provide more information for the field about longer-term outcomes," said lead author Timothy G. Gaulton, an anesthesiologist and critical-care physician at Penn. "I think these findings are helpful to better inform patients about their risks in general." Another study released earlier this year looked at only the first six months after surgery, and concluded that obese patients should not hold off on joint replacement surgery. The authors said people who could lose weight first should do so, but said that might not be possible for many people, who would benefit from the ability to become more active. Obesity, defined as a Body Mass Index (BMI) of 30 or more, is a vicious cycle for joints. Previous studies show extra pounds raise the risk of developing arthritis, which increases the need for joint replacement surgery. After surgery, obese people have more complications such as infection and poor wound healing, as well as more pain. Another recent study associated obesity with a greater risk of knee dislocations. The Penn study, which used data from the federal Health and Retirement Study, analyzed the results of 2,519 people over age 61 who had hip or knee replacements between 2004 and 2014. Overall, 1,140 patients, or 45 percent of the whole group, were obese; 289 of them reported worse disability after surgery. Gaulton and his two coauthors, who also specialize in anesthesiology and critical care, conclude the study has "important implications" for figuring out how to manage these patients. Perhaps, they write, "surgery should be delayed in favor of non-surgical management or more aggressive weight loss reduction through bariatric surgery." The authors also suggest, without being specific, that extra "perioperative resources" should be devoted to help obese patients "optimize recovery."